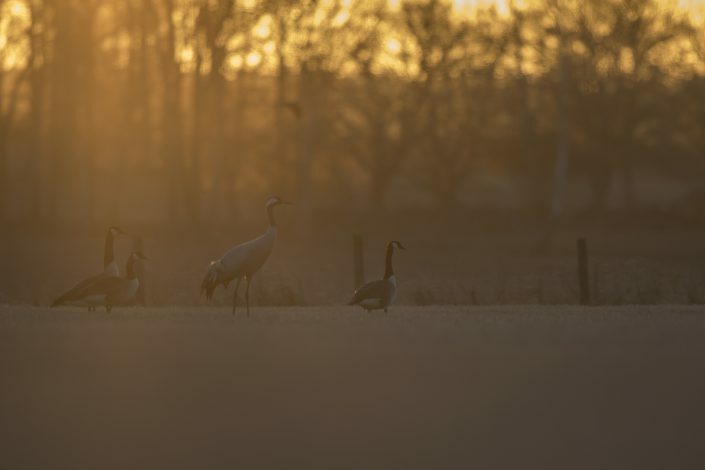 common crane, also known as the Eurasian crane, is a bird of the family Gruidae, the cranes. 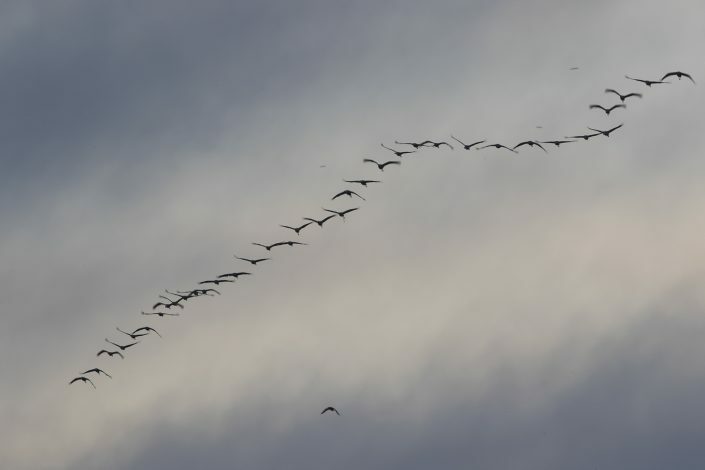 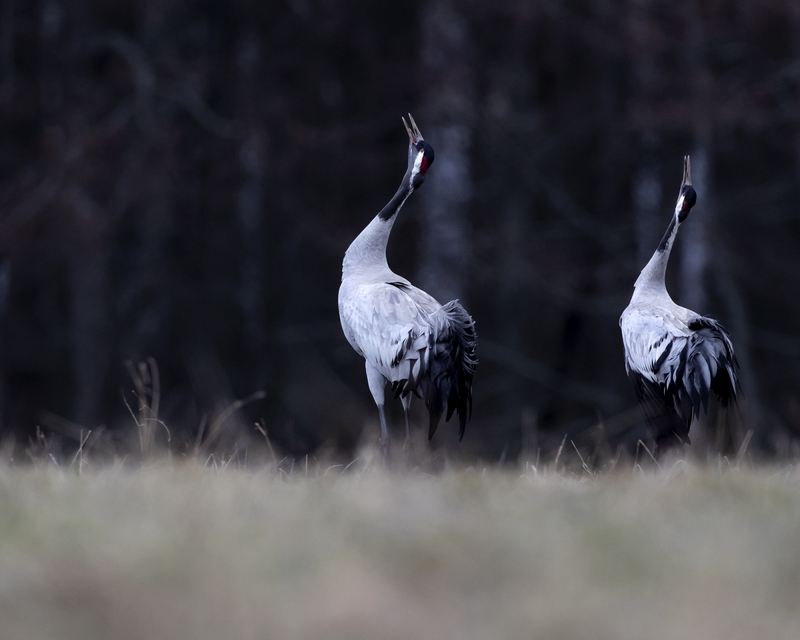 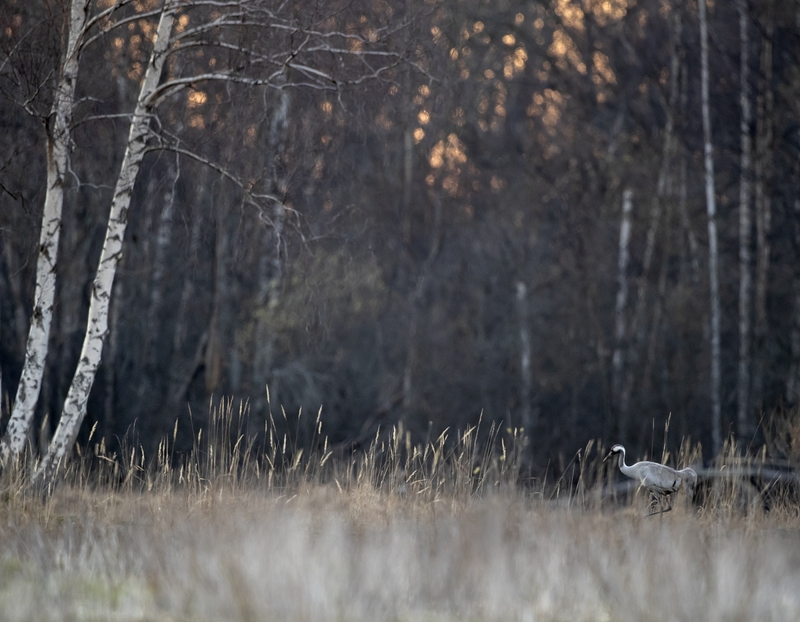 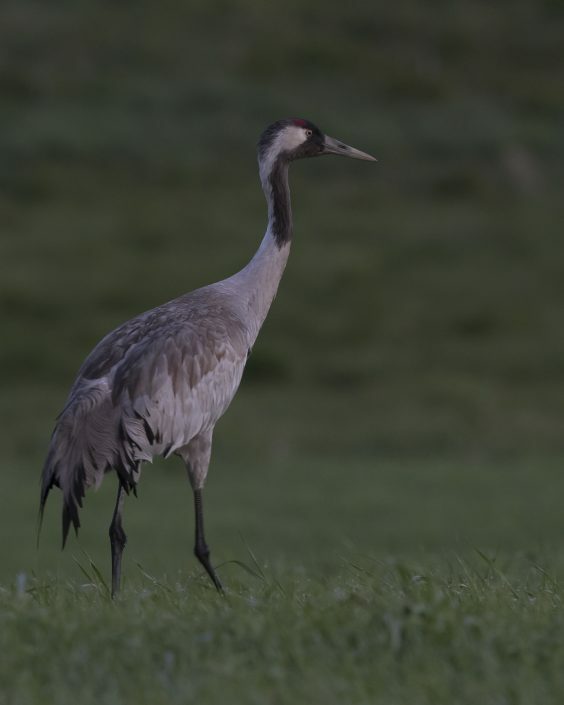 A medium-sized species, it is the only crane commonly found in Europe besides the demoiselle crane (Anthropoides virgo). 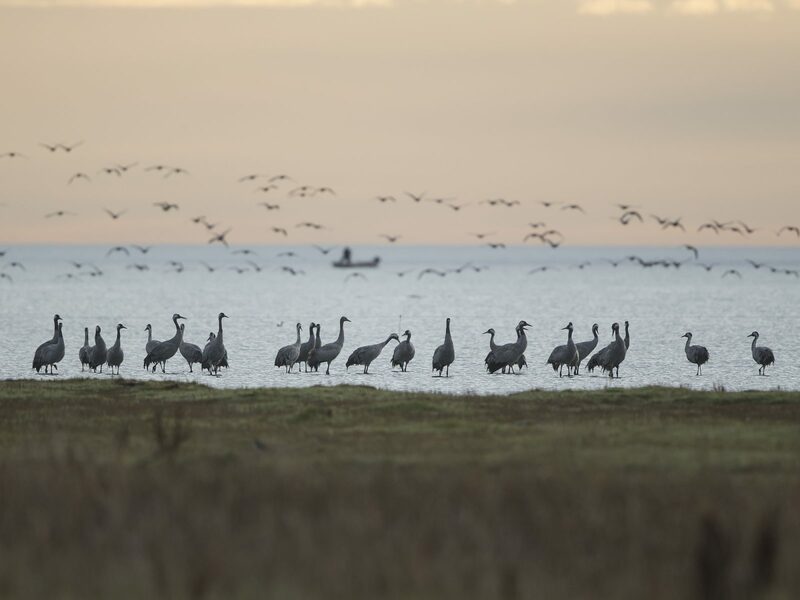 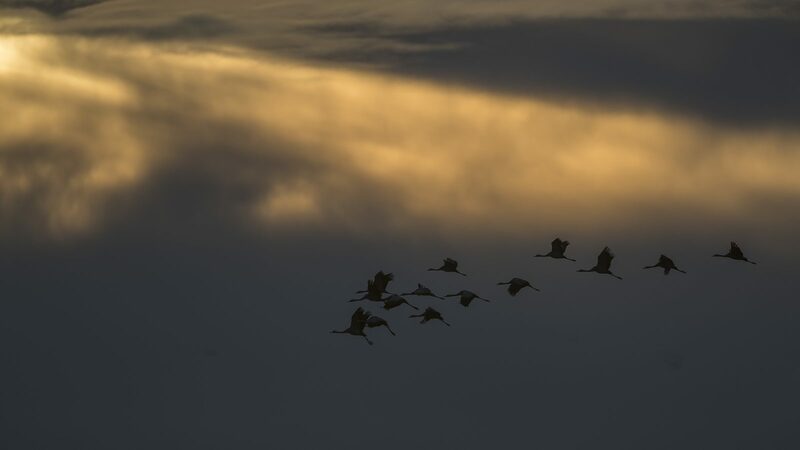 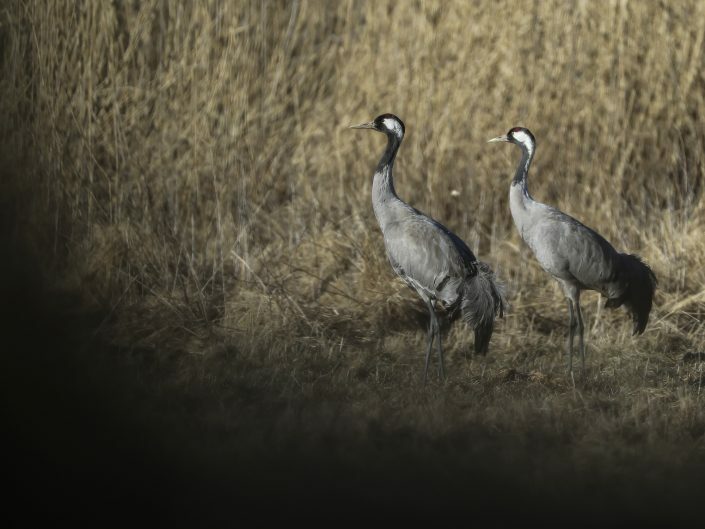 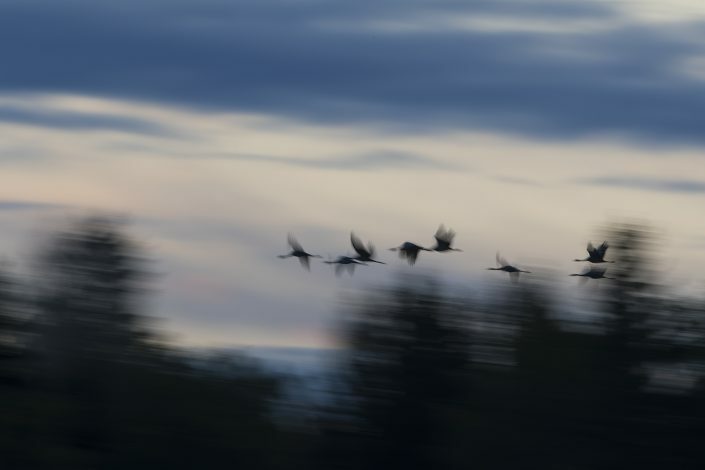 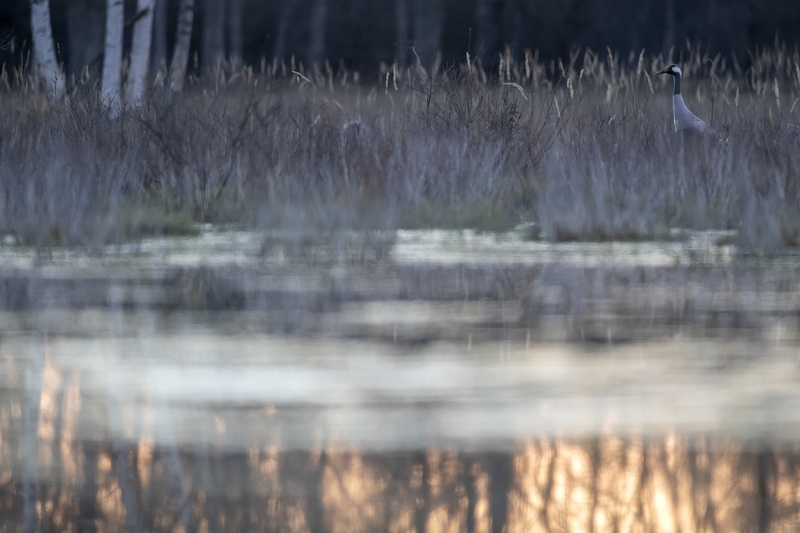 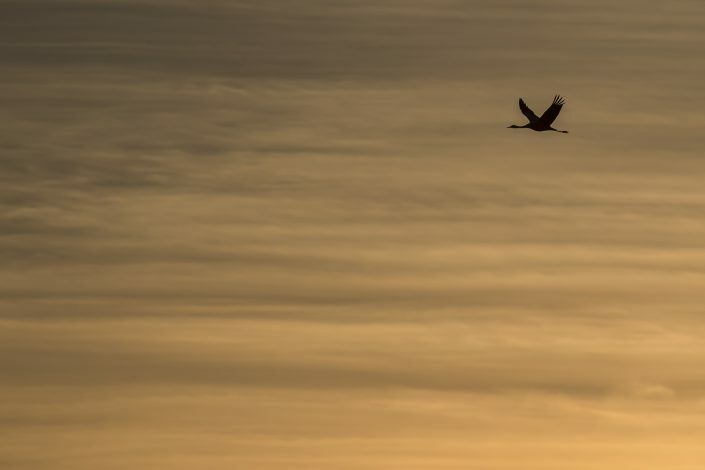 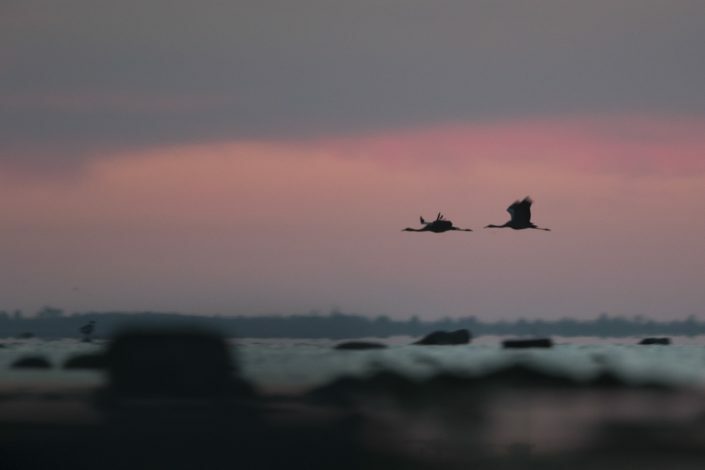 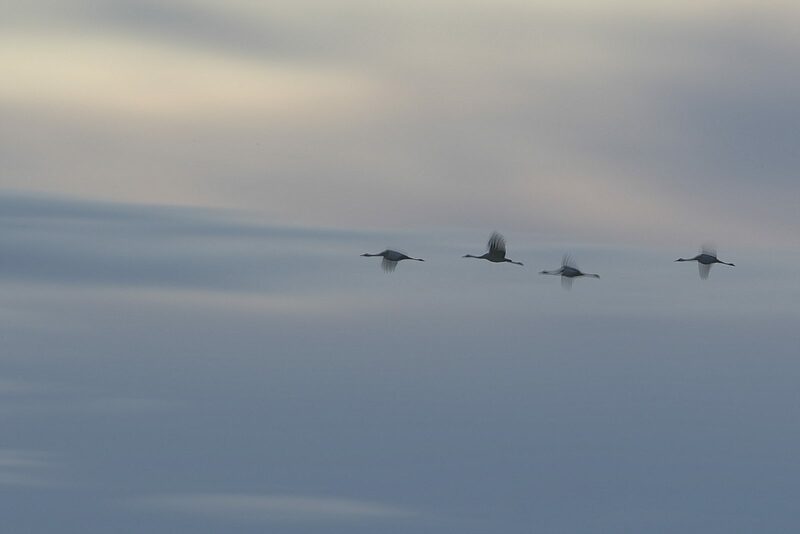 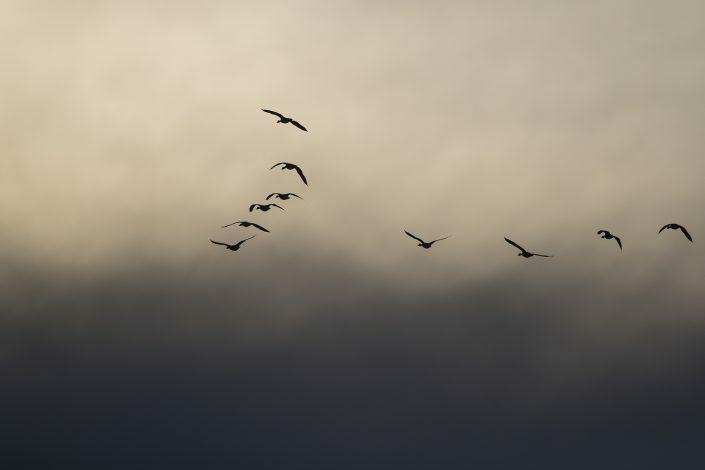 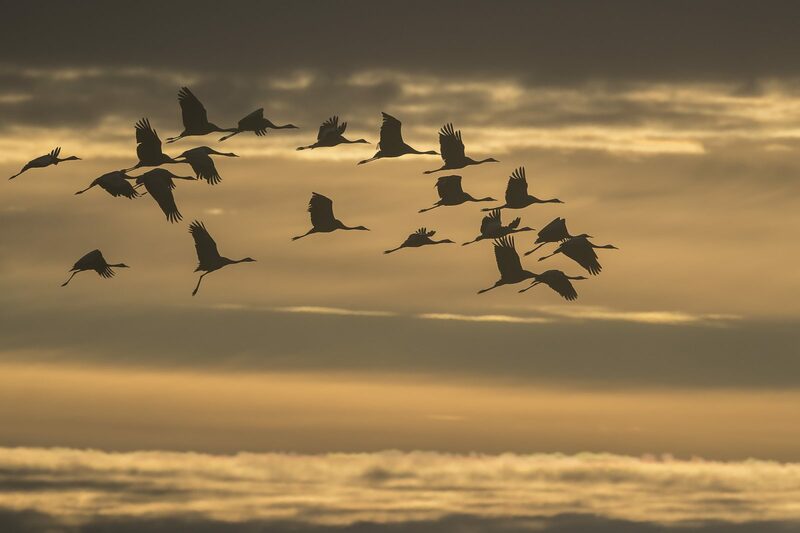 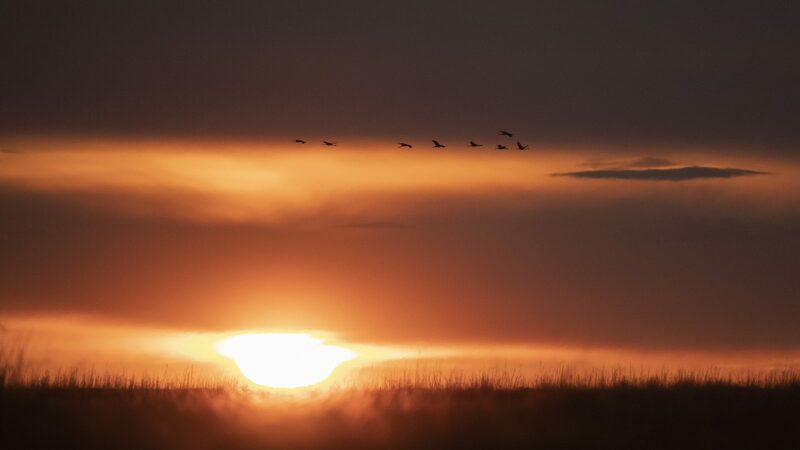 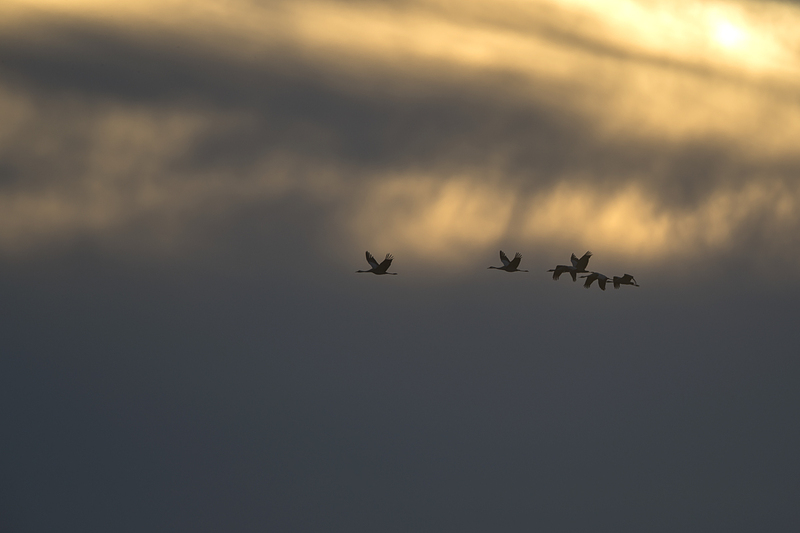 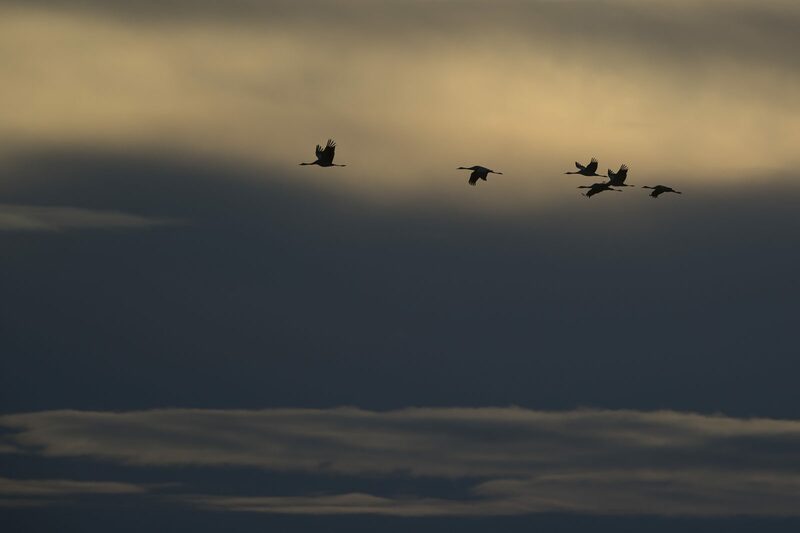 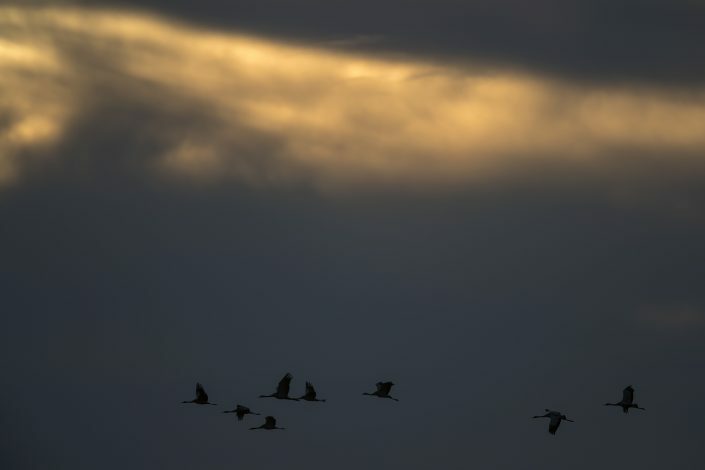 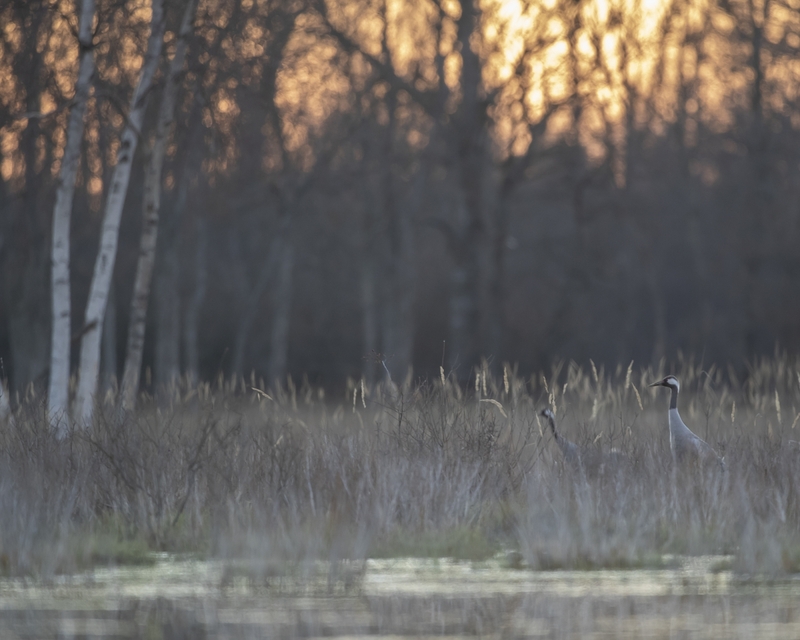 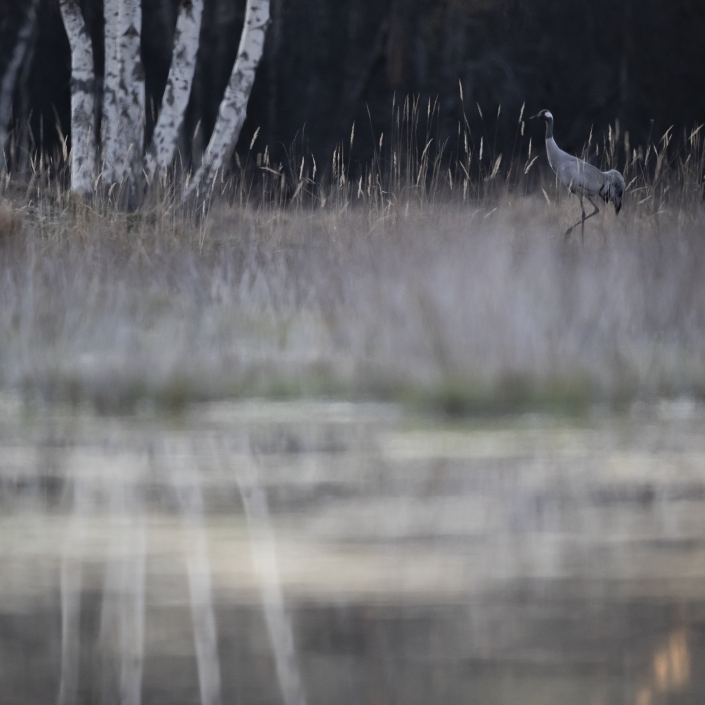 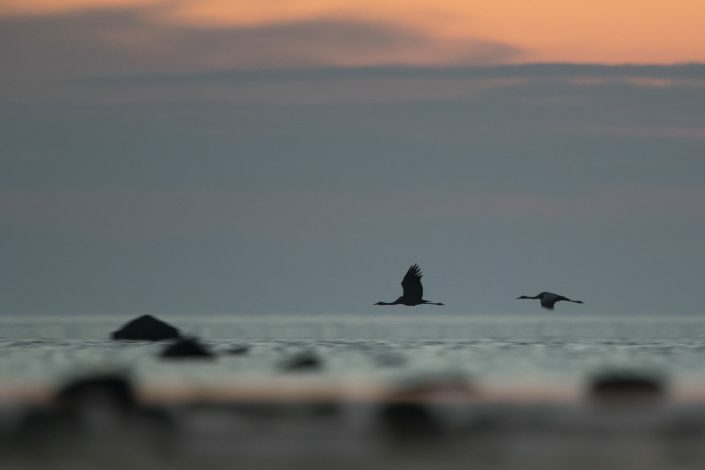 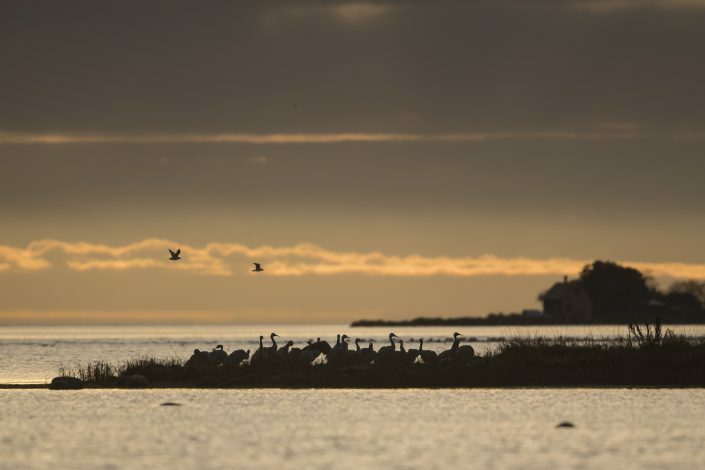 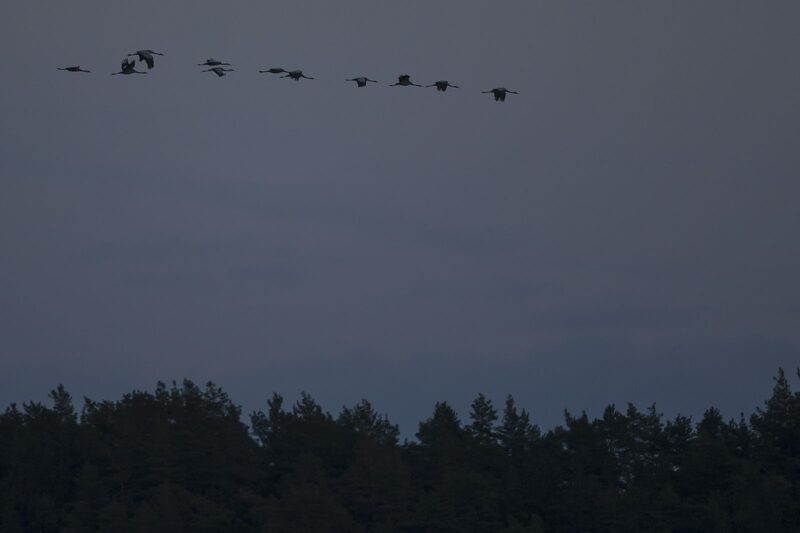 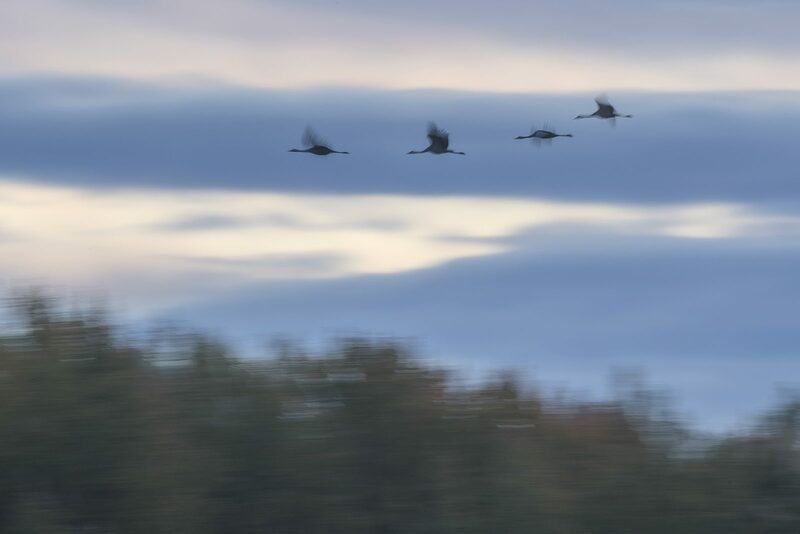 Along with the sandhill (Grus canadensis) and demoiselle cranes and the brolga (Grus rubicunda), it is one of only four crane species not currently classified as threatened with extinction or conservation dependent at the species level. 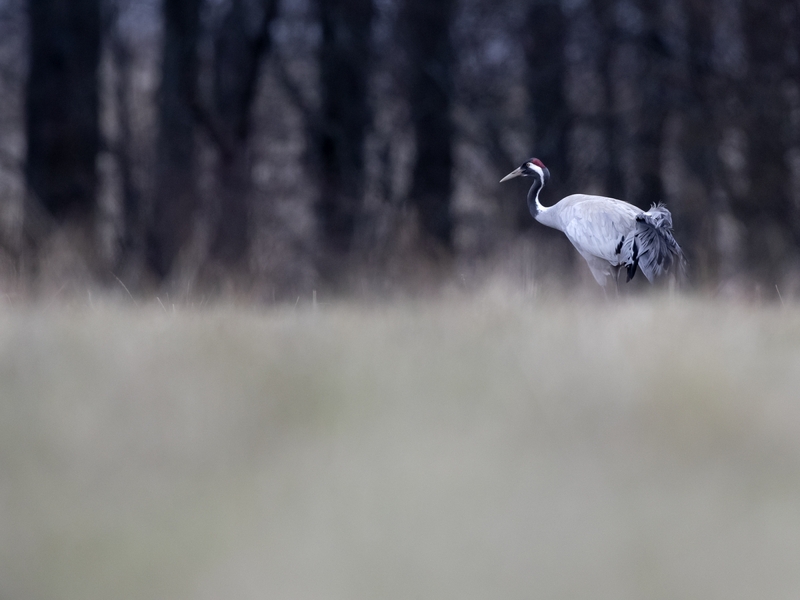 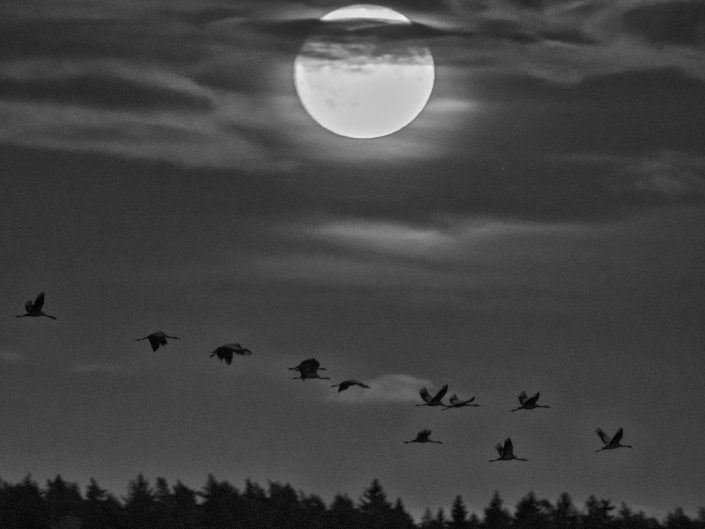 The common crane is a large, stately bird and a medium-sized crane. 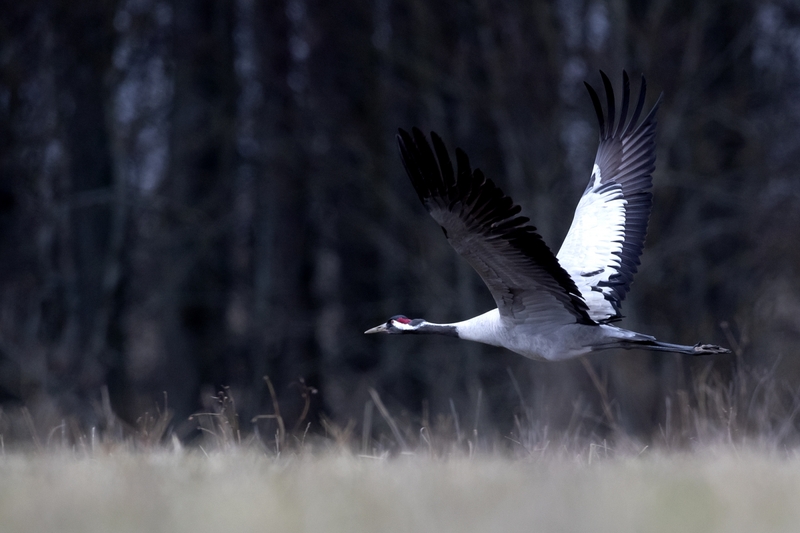 It is 100–130 cm (39–51 in) long with a 180–240 cm (71–94 in) wingspan. 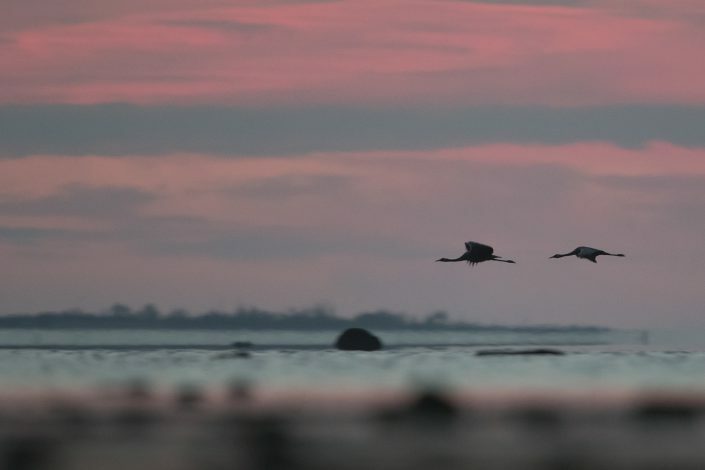 The body weight can range from 3 to 6.1 kg (6.6 to 13.4 lb), with the nominate subspecies averaging around 5.4 kg (12 lb) and the eastern subspecies (G. g. lilfordi) averaging 4.6 kg (10 lb). 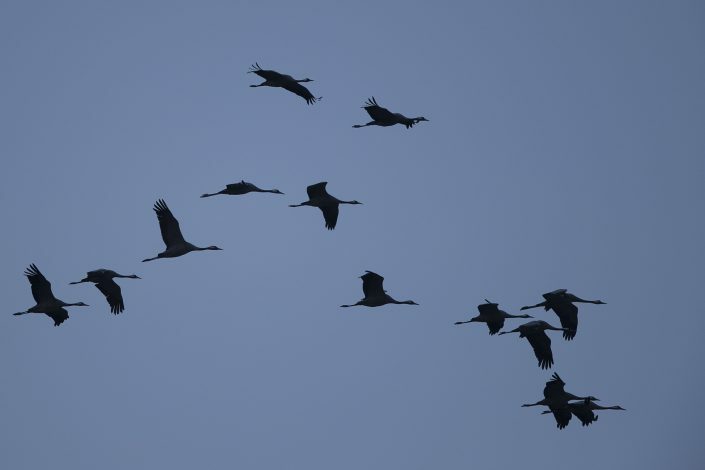 Among standard measurements, the wing chord is 50.7–60.8 cm (20.0–23.9 in) long, the tarsus is 20.1–25.2 cm (7.9–9.9 in) and the exposed culmen is 9.5–11.6 cm (3.7–4.6 in).